In the U.S., why do we think it’s okay to mangle a person’s name or assign them an entirely new one, if the original is hard to pronounce? 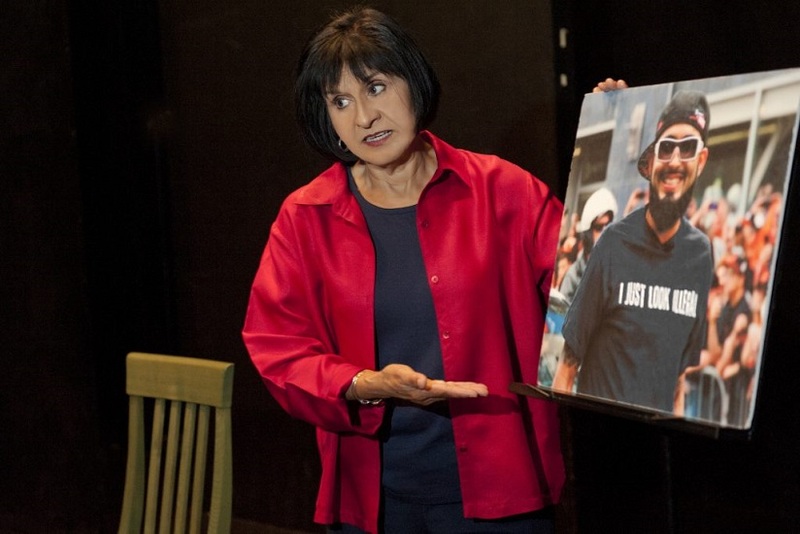 Civil rights attorney, social justice advocate, journalist, and playwright, Irma Herrera, asks, “Why would I mispronounce my own name?” starting with her own, in her engaging solo show. Irma coaches us on her name: “Smile first,” she coaxes. Phonetically, it’s EAR-ma, not err-ma. Her last name, Herrera is pronounced Err-ERR-a. The “h” remains silent, the “r’s” rolled. We too can voice it in Spanish, if we try. Pronounced correctly, her name is lyrical and memorable, given at birth, proudly representing her Mexican and American origins. Herrera teaches us to go beyond the flat-sounding, lazy-tongued, Anglicized version of her name. After all, we hear Spanish names every day in California—they are EVERYWHERE—San Francisco, Los Angeles, San Jose…you name it. Spanish has been spoken here for over 500 years. With her name firmly imprinted on mind and tongue, Irma takes us on a journey through her childhood in South Texas, to college and law school. Then, she had a successful career defending equal rights. 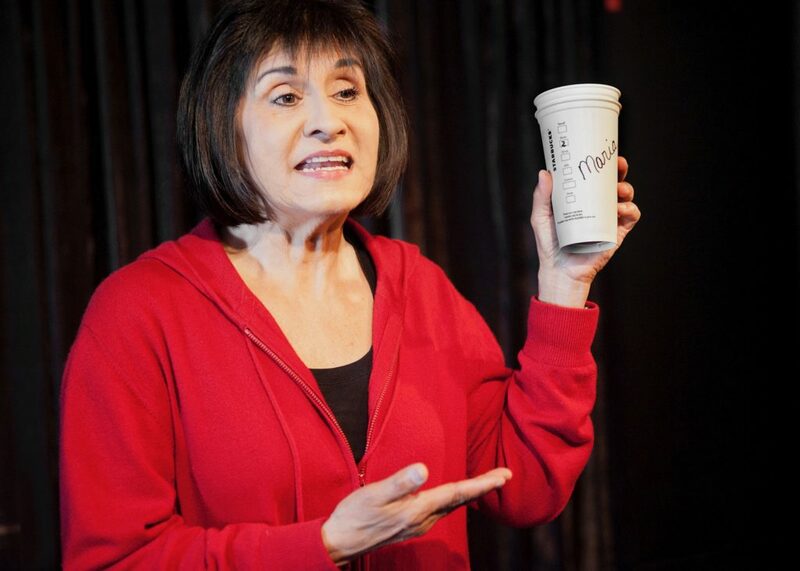 In one hour, she plays 21 characters, speaking her truth in a Texas drawl, broken English, a childlike voice, and strong, clear English. She sprinkles in words and phrases in Spanish, and translates them impeccably, so no one misses out on the action. Irma reminisces about growing up in Alice, Texas, a small town of 18,000 mostly Spanish speaking Mexican Americans born in the U.S. Her father’s barbershop, her aunt’s tortilleria (tortilla shop), were all on “the other side of the tracks” from the Anglo community. We meet her Uncle Otilio (O-TEE-lee-o), when Irma is age six. He’s a tall, strong man who drives a big truck delivering gravel. The label on his company work shirt says “Tom.” Puzzled, precocious Irma asks her parents if people get new names when they go to work. At Notre Dame, a law professor tries to pronounce names correctly. He listens, documents, and articulates each student’s name properly—a welcome sign of respect and a first glimmer of hope. Herrera gives us shocking glimpses of Latinos being treated as second class citizen since WWII. She tells wonderful stories, too—like the Longoria incident, when President Lyndon B. Johnson awarded a full military burial at Arlington Cemetery to a Latino soldier. In Texas, the body and family had been barred from a “white” funeral home. 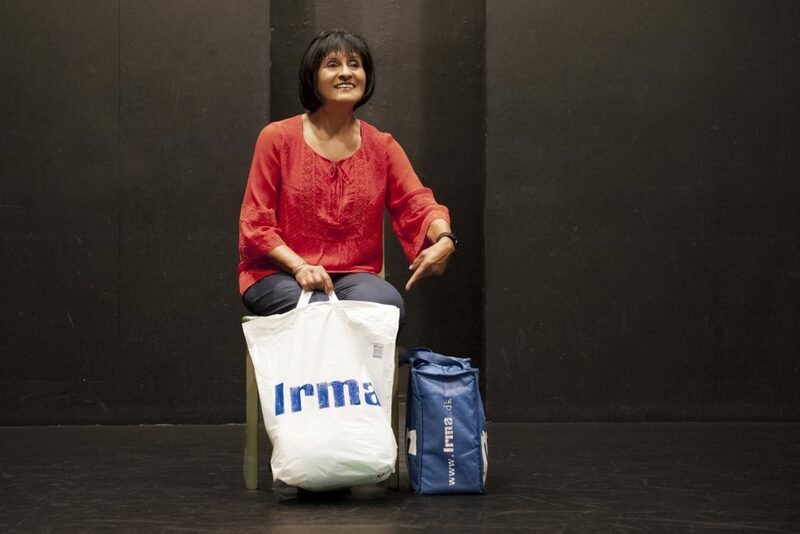 Irma’s stories mix truth with humor, sadness with joy. She is forever an optimist, and shares a touching final story, that we all can use. Delighting in a soothing “mani-pedi” at the neighborhood salon, she asks the hardworking Vietnamese manicurist her name, her real name, not what they call her in English. That inquiry starts a dialogue, a budding friendship, and a quick hug from Hanh. 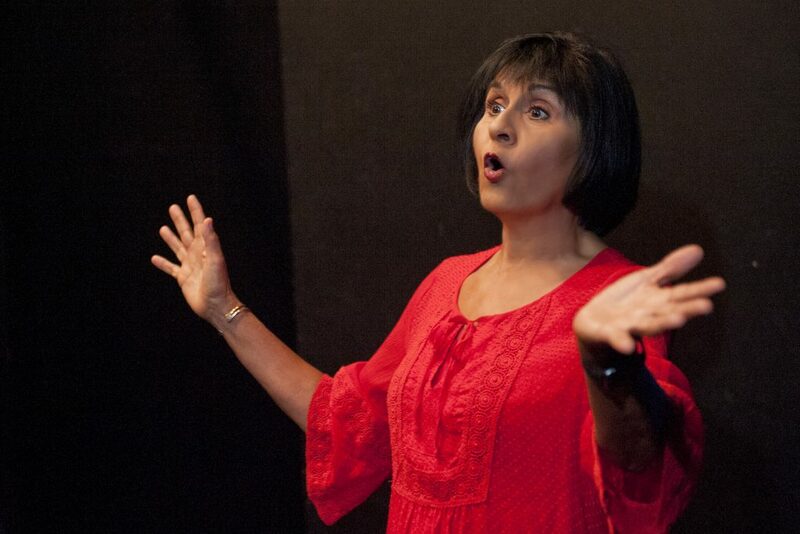 Irma’s expressive show reminds us that that it’s okay to ask someone’s real name. Every name has a story. A little curiosity goes a long way to opening doors to friendship and understanding. EAR-ma’s show is heartfelt and spreads the understanding we sorely need, today. “Tenderloin Tour” Ferries Us to Gritty Truths, at Cutting Ball, S.F.